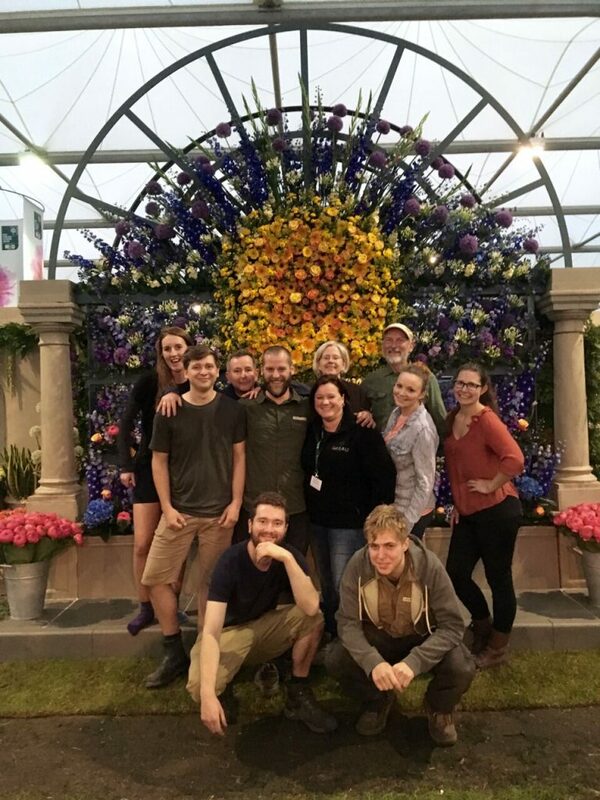 The theme for this year’s stand situated in the Royal Pavilion at Chelsea was “The Floral Markets”, taking our inspiration from heritage British markets, including Covent Garden Piazza, The Floral Hall and Borough Market. 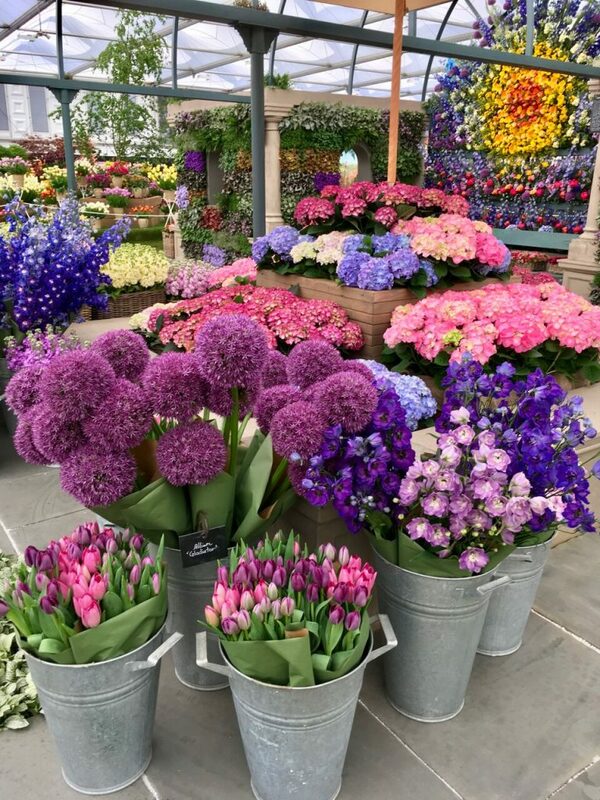 As befits a celebration of Britain, showcasing more British flowers and plants than ever before, supplemented by expertly grown blooms from Holland, France, Colombia and our farms in Kenya. The floral pavement showcases Sweet Williams from Lincolnshire and the planted living walls and pavements showcases plants and herbs from Lincolnshire, Holland and Denmark. The planted living wall is sustained by a vertical tray system allowing irrigation of the plants in situ. The planted pavement and living wall resonated with the public, such a simple but stunning feature that can be replicated in any garden. 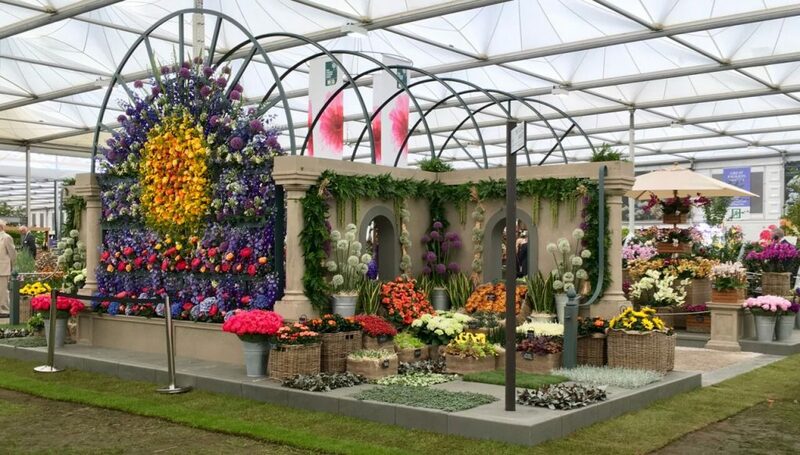 The stunning floral sun window, the focal point of the stand, represents a sunrise through a light-filled window which is decorated with delphiniums, alliums, gladioli, stocks, gerbera, roses, lisianthus, hydrangea and stunning “coral sunset” peonies, which floods the space with golden dappled sunlight. 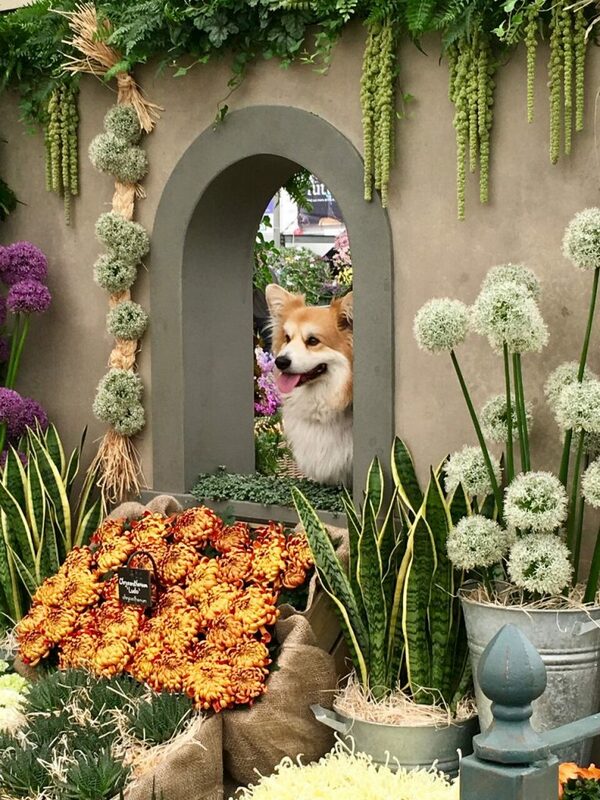 The floral window is framed by “market stalls” packed with seasonal flower and bouquets: a true celebration of a great British summer. Awarded highest standard of “excellence” in all categories, Product Quality, Overall Impression and Endeavour for the second year running.